Elevation: minimum 1040 feet, maximum 3140 feet. Area Habitat: open land 5.58%, forest 94.15%, wetland 0.00%, open water 0.30%. Five miles southwest of Pineville on KY 190. Fire trails provide limited access to interior of area. Mountainous terrain, primarily forested. Recreational opportunities and lodging at Pine Mountain State Resort Park; many scenic overlooks in area. 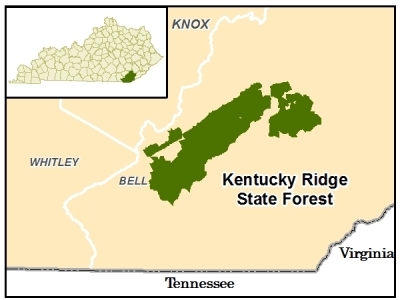 Owned by Kentucky Division of Forestry.